Casa Ceramica is showing this off in the entrance to one of their showrooms in Manchester, UK. 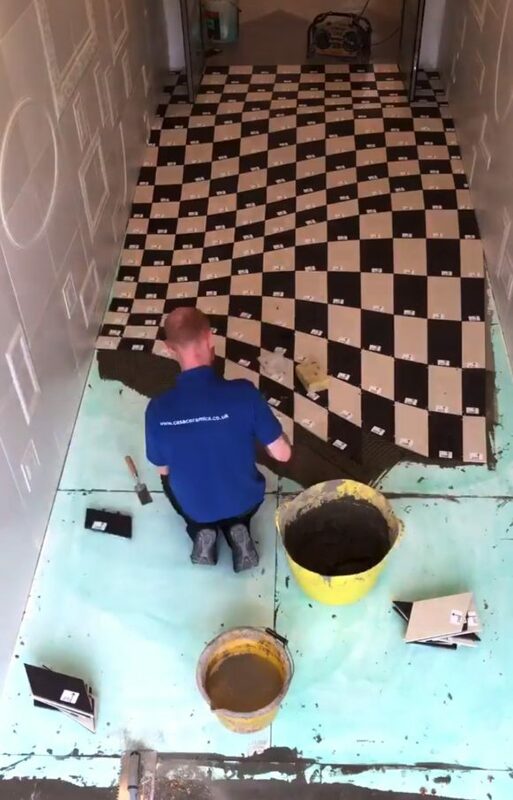 It has about 400 individual floor tiles. If the entrance already intrigues me like this, I cannot imagine what adventure awaits me inside the store. The reason they installed this is to stop people from running in the hallway. 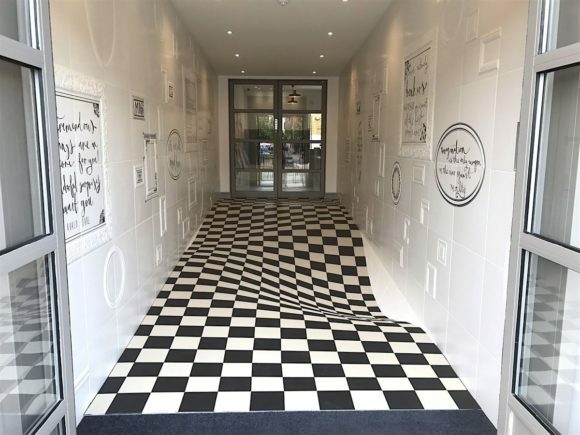 It gives the perception of walking on a warped floor. 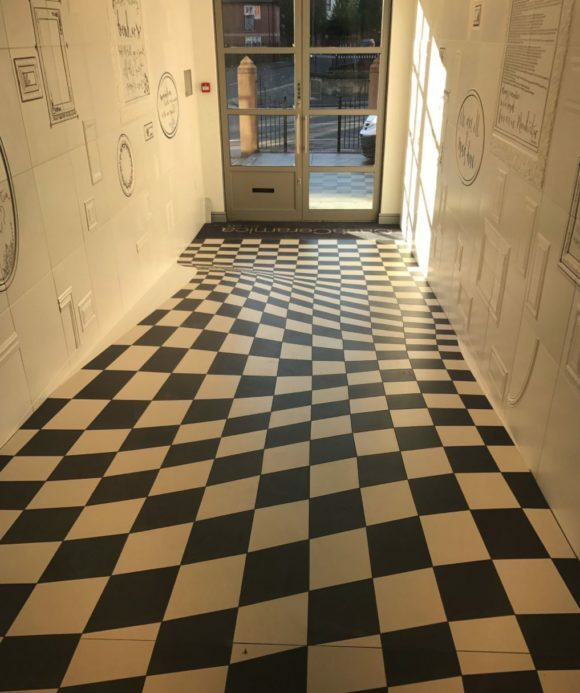 “The inspiration was to create an entrance themed on illusions and expectations of how tiles can be used,” a representative of Casa Ceramica said. This is a brilliant display of their products and definitely a good focal point for them to get more foot traffic. On the contrary, this illusion only shows in the perspective when they are entering. When customers leave, the same illusion cannot be seen. It interacts with my eyes as it still looks slightly bumpy. In fact, I like the optical illusion on the floor as we entered more. Originally a Reddit viral post by the user, 9999monkeys, we would like to credit this good find. What are your thoughts?